Since when did man’s best friend become his very own worst nightmare? Pam suspects that the cute, lovable little pup her husband, Harry, brought home is actually a cunning, diabolical killer. But that’s crazy talk! Is the K9-233 a miracle of modern robotics, or is it something to be feared? Should Pam risk sounding like she’s going insane? Or will she make the mistake of waiting until her children are at the mercy of their murderous new pet. What would you do? 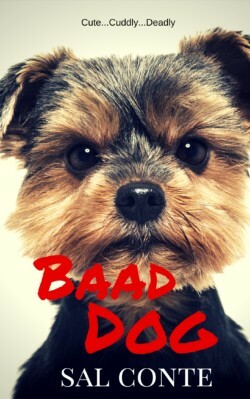 Baad Dog is a horror, sic-fi thriller with a twist from the author of 80s pulp horror classics Child’s Play and The Power. Sal Conte has been dubbed “the modern master of the surprise ending,” and this one is full of surprises.